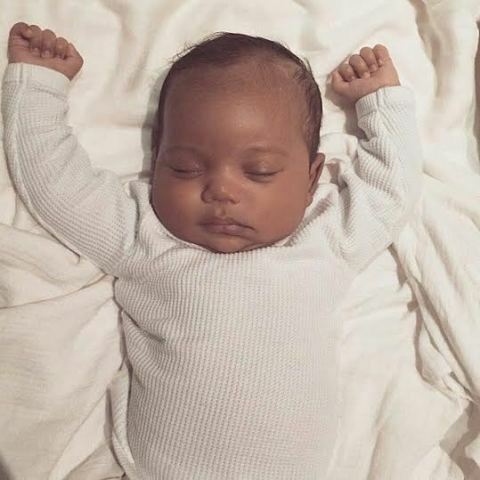 Kim Kardashian West shared the first photo of 3-month-old son Saint on Monday morning through her app and website. Baby Saint, dressed in a white thermal onesie, is sound asleep as he lays with his arms up in the air. “Today is my dad’s birthday. I know there’s nothing more in the world he would have wanted than to meet his grandchildren. So I wanted to share this pic of Saint with you all,” the proud mom wrote alongside her son’s picture.